Private investigator Earl Marcus thought he’d conquered his demons after vanquishing the malevolent spirit of his fundamentalist preacher father―but now, he must face something much more terrifying than the devil he knew. As the litany of terror grows, the poisoned spirits of Earl’s past return to claim their final victims. And on an old train trestle over a swift-running river at the edge of a cornfield Earl will confront his worst fears. 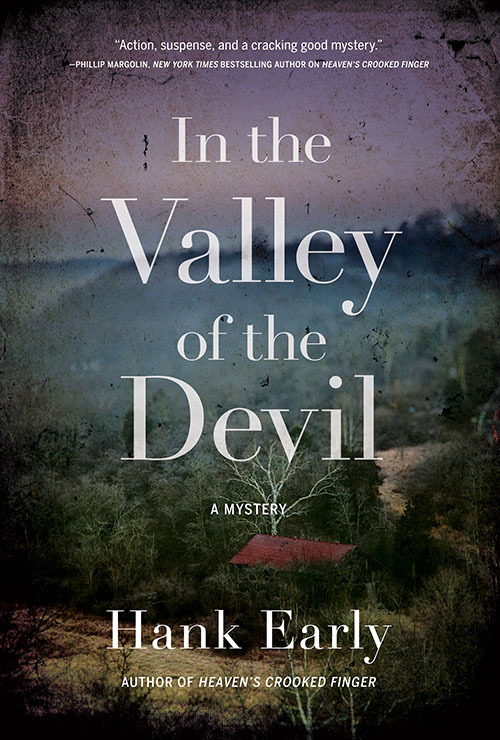 Time is running out for Mary―and unless Earl can wrest her from the control of a secretive cabal comprised of some of the area’s most elite―and wealthiest―citizens, she could be lost to him forever in In the Valley of the Devil, the second harrowing installment of the Earl Marcus mysteries by Hank Early. Pre-order In the Valley of the Devil: Amazon | Barnes & Noble | IndieBound | BAM!